WMU Students Help Sick Kids With "Magic"
A group of students at Western Michigan University are devoting their time to make the days of children at local hospitals a bit more magical. 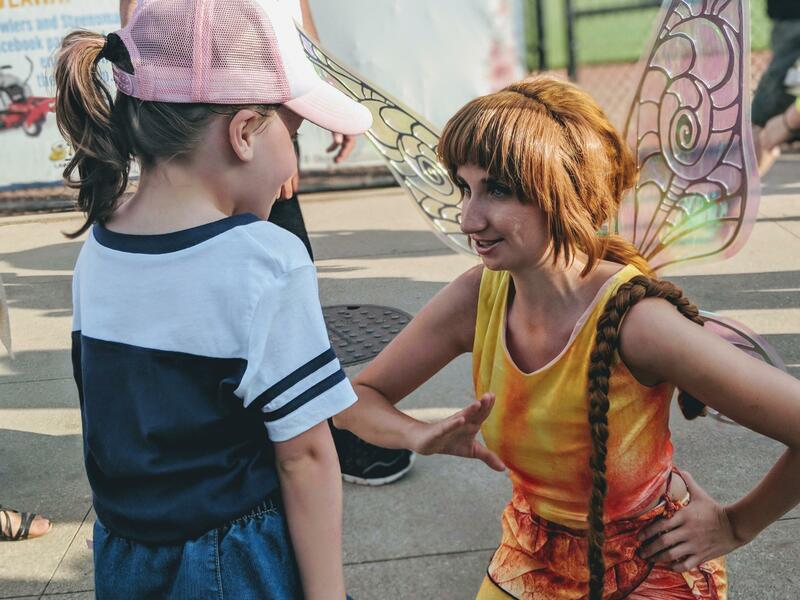 The WMU chapter of A Moment of Magic is one of 16 college organizations around the country that dress up as princesses and superheroes. WMU chapter president Audrey VanEssen said its members often visit Bronson Methodist Hospital in Kalamazoo and the Helen DeVos Children’s Hospital in Grand Rapids. They also make personalized home visits. Van Essen says the time commitment for students varies depending on how involved they want to be. Many students start off as a ‘magic-maker,’ which entails attending one meeting a week to spread the word about the organization. To become a character volunteer, students must shadow a more seasoned volunteer for a semester. “I think that, at the end of the day, just remembering that no matter how much work you put into it, or you might have to give up a Friday night doing something else, that really you’re there for the kids. And when you walk into a room and you see them smile and tell you that you’re their favorite, that’s really the most heartwarming experience,” VanEssen says.